Not sure if I have mentioned this before, but we LOVE Disney as a family (ok, so maybe it's slipped in once or twice - be it DisneyLife, Oh My Disney, Disneyland Paris or many other posts that make a mention of it!). We all have our favourite stories, from classics to the new Disney Pixar films, and Mickey Mouse is just the greatest character. 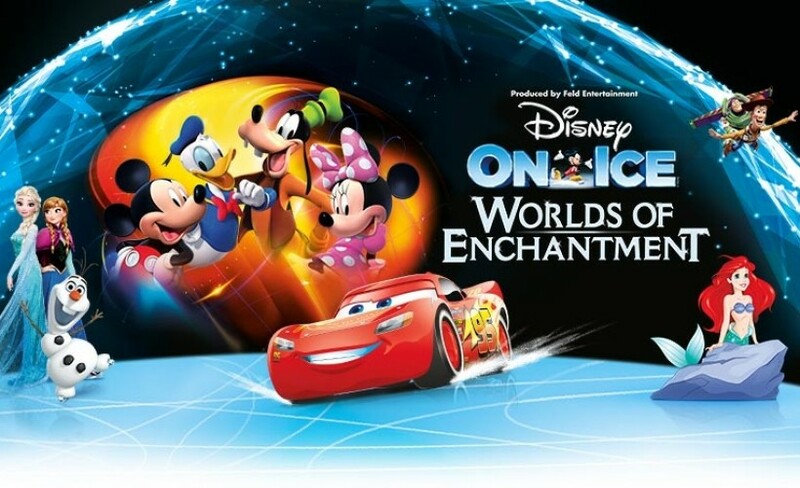 So, you can probably imagine just how much fun we had at Disney On Ice: Worlds of Enchantment, which has just come to Genting Arena Birmingham. On until 1st April in Birmingham, before heading off around the country to Nottingham, Liverpool, Cardiff, London and Aberdeen, this is a fantastic awe-inspiring show to go and see. 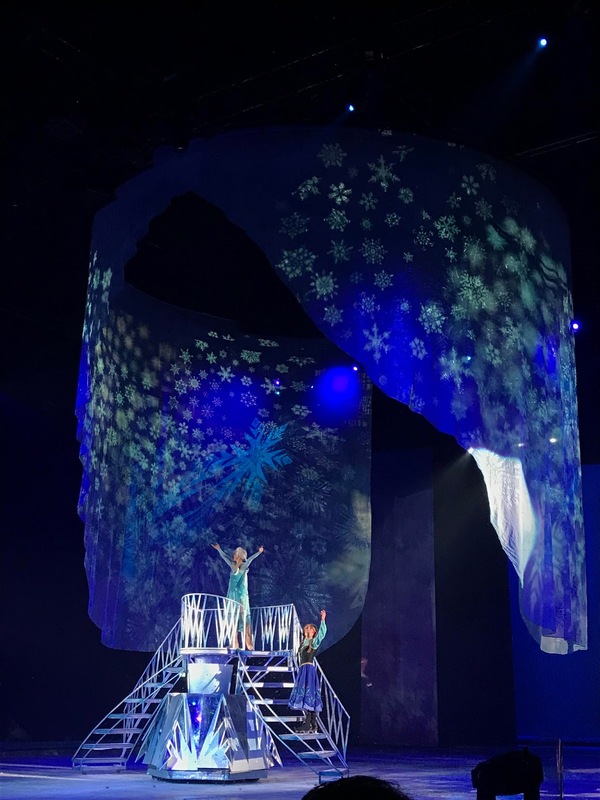 We went to the last Disney on Ice show last year, Passport to Adventure, and it is a bi-annual event that tours the UK with a cast of your favourite characters. Worlds of Enchantment features a retelling of Toy Story 3, with Ken and Barbie being particular highlights (just like in the film), and the Little Mermaid in part one; the performance by Ariel and Eric is just breathtaking. In the second half, you get to see Lightening McQueen and friends from Cars and then another in-depth re-imagining of Frozen, complete with snow falling from the sky and dramatic light effects. 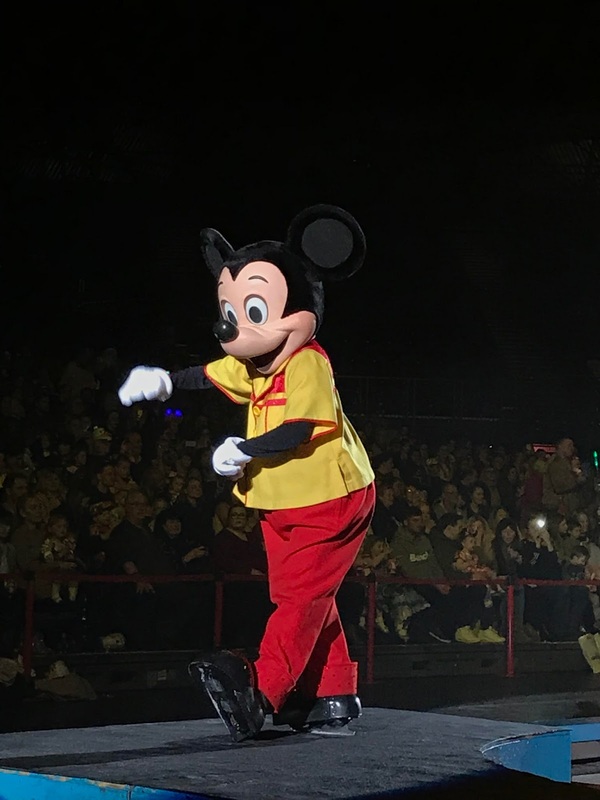 The whole event is hosted by Mickey Mouse, Minnie Mouse, Donald the Duck and Goofy, much to Ethan's delight, and we were lucky enough to be ringside this time so really close to the action. I do have to say though, sitting further back in the tiered seating isn't actually bad at all - it perhaps gives children a better view, and everyone for that matter as to how the whole show looks, and considering the tickets can be half the price here (prices range from around £21 to £49, exc. fees - with hospitality seats up to £104) I would say you aren't missing out on a great deal. If you want to be close to the action and don't mind paying more, then you will get a really up close experience, but I would still check out the event if availability is for tiered seating. Some of the stories were similar to those depicted in the last tour, but it didn't stop our enjoyment and Ethan was singing and shouting and waving all the way through. 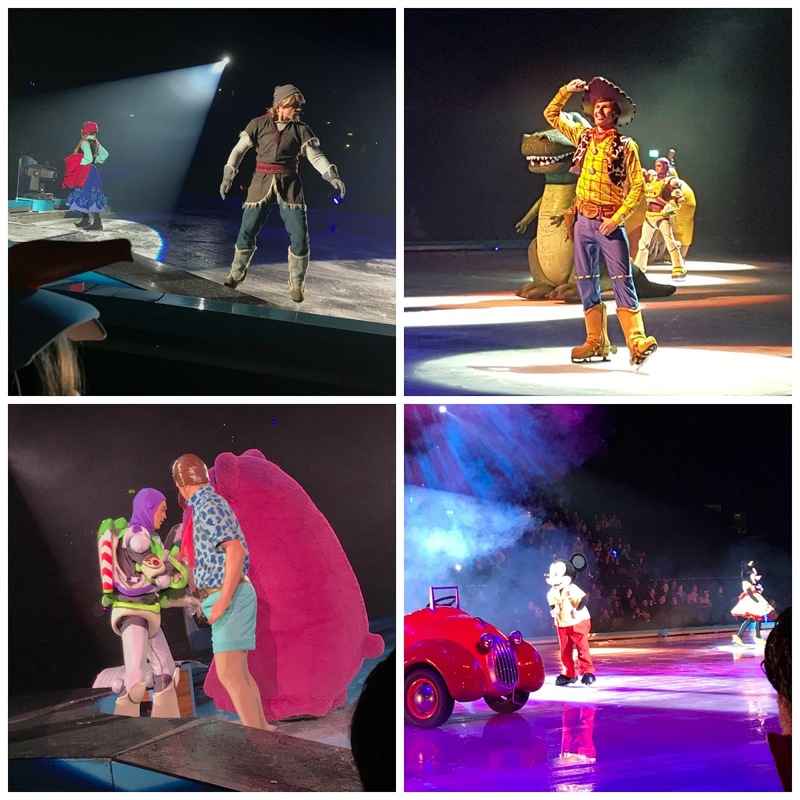 I don't want to say too much more in case it spoils the show for anyone hoping to go, so here are just a few photos from last night - and a big thank you again to Disney on Ice inviting us to work with them (all opinions are our own!). We had the pleasure of working with Disney on Ice as part of their recent social media campaigns - you can see us featured in their membership promotion video here.